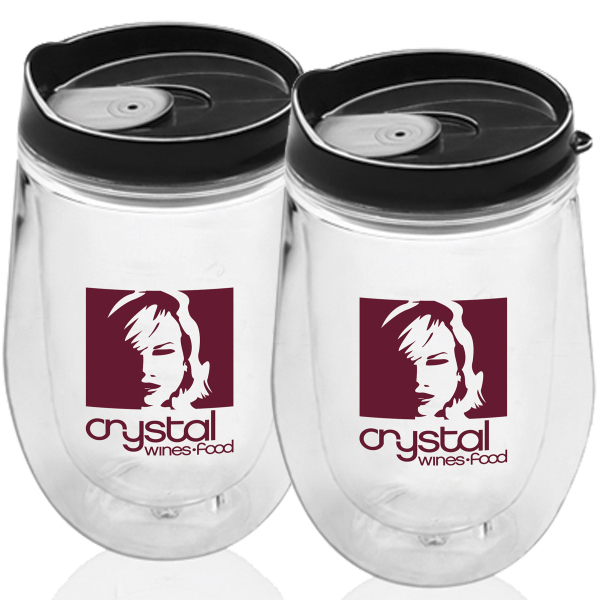 Custom Double Wall Acrylic Wine Tumbler – 15 oz. 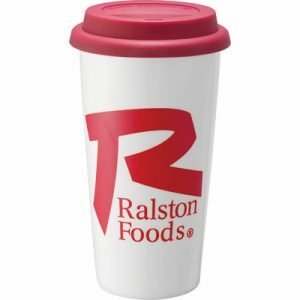 The 15 oz. 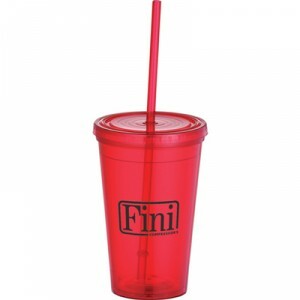 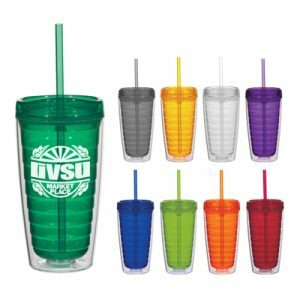 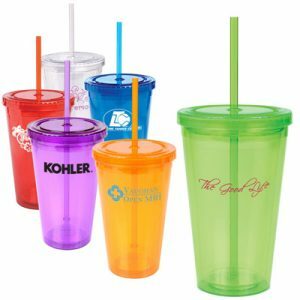 double wall acrylic wine tumbler comes with a black, push on, thumb slide lid, and is a great addition to any promotional product lineup. 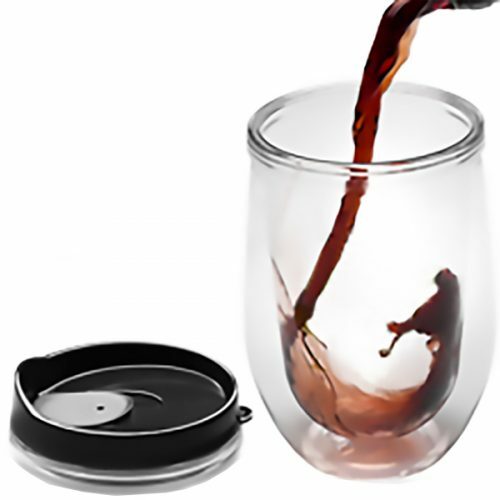 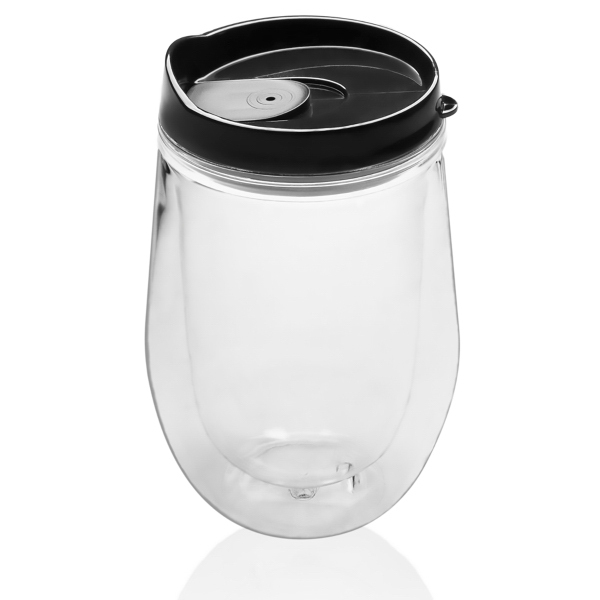 Perfect for wine connoisseurs and anyone who loves to pour a glass in style! 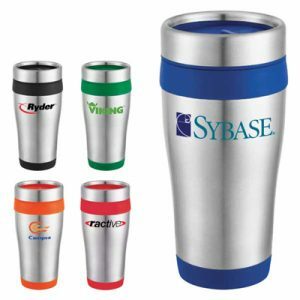 Feature your own custom logo on the side.